Vegas Crest Casino is a Online Casino which accepts players from the USA, Australia, Europe and many other countries across the globe, most currencies accepted that also includes bitcoin, payouts are fast and we have managed to negotiate a exclusive free spins bonus for our readers below. Vegas Crest casino is licensed and accepts players from the United States? You bet, the site is regulated by the Curacao Gambling Board and the license number is 1668/JAZ. If you are from the States you must be 21 years or older to play here. International players are accepted too but the minimum age is 18 years. Restricted countries: Most African countries, countries from the Middle East and Asia. To find out if your country is on the excluded list click on ‘Terms and Conditions’ and check under the heading ‘Eligible Players’. Hope you’re sitting down because the size of the bonus offered to first time customers is a home run. The total bonus package is worth 500% up to $2,500 but it’s divided into 2 deposits along with 100 free spins-crazy I know. The first match bonus is 200% up to a $1,000 plus 30 free spins on Pinocchio and the second one is 300% up to $1,500 and 60 free spins to play Fruit Zen slots. A cash out is allowed once you’ve completed the play-through of 30 times the deposit and bonus sum. Slightly steep but I’ve seen far worse. When it comes to the completion of the roll over bit, the weightings of the games differ. For example, all slots, bingo, keno and scratch cards contribute 100% while table games (Red Dog, Three Card Rummy, Texas Hold’ em) count 25% and video poker 10%. The bonus works like this. Let’s say you deposit $200, since it is a bonus of 200% the casino will match your bonus with another 200% ($200×200%=$400). You can now play with $600 instead of $200. This is the amount that must be cleared (30x$200+$400=$18,000) before you can cash out any wins. Vegas Crest also offers you a no deposit bonus of 10 free spins to play Betsoft’s Tipsy Tourist. 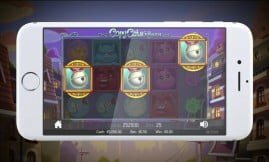 Our exclusive 25 free spins offer (no deposit) trumps this one (pun intended), it’s available to all players who sign up through Casinowhizz.com. The bonus will be credited to your account once you’ve provided this code: ”WHIZZ25FREE”. The maximum cash that can be won with the free spins is $100 and the WR (wagering requirement) requirement is 99 times. Once the bonus storm has passed the casino offers regulars daily and weekly promotions in the form or free spins (social media), cash tournaments and a slew of bonuses. Loyal depositors receive $1 comp for every $500 wagered. If you play slots, scratch cards, keno or bingo you’ll receive 2 comps for every $1 wagered. Table game and video poker players get 1 comp for every $1 wagered. Comps can be exchanged any time with no withdrawal requirements. What Can VIP (high rollers) Players Expect? VIPs get double daily bonuses, plus they receive 4 comp points for every $1 they wager on slots and 2 comps for every $1 wagered on other games. 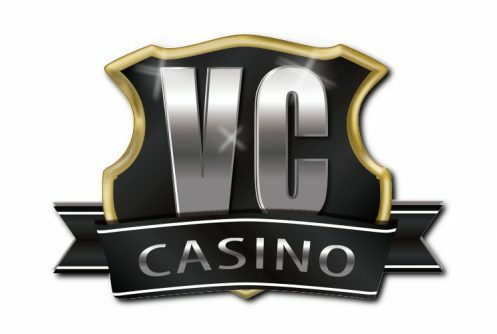 VIPs receive $2 in real cash for every $500 they wager on slots and $1,000 wagered on other games. The VIP program is available to players who earn at least 100k in comps a month. Mobile players have not been given the cold shoulder. That said, the games that can be played are not as extensive as those available on desktop but the variety is still pretty darn neat. The site supports Androids, iPhones, ipads, tablets and desktop devices. The Betsoft slot machines have high-definition graphics and tend to lag on certain mobile devices. If it happens you, reduce the graphics settings and make sure your Wi-Fi is on, otherwise the game will deplete your data bundles pretty fast. The collection of games listed at Vegas Crest Casino is mind boggling. The site teamed up with 4 software providers such as Betsoft, VistaGaming, Rival and Saucify. As always, the bulk of the games are slot varieties followed by table games, progressive jackpot slots, video poker, keno and bingo. The software can be downloaded onto your PC or the games can be played in your browser. Where do we start? A host of slot machines divided into 3D, 3 and 5 reel classics, iSlots (Rival), chain reactors and exclusive slots grace the menu. 3D slots that deserve a shout out are Great 88, Alkemor’s Tower, Rooks Revenge, Birds, The Tipsy Tourist, Fire & Steel, Stampede and Arrival. The reason why we mentioned these games is because they’re flushed with excellent graphics, free spins with multiplier wins, wilds, scatters, they have high RTPs (average return to player percentages) and huge jackpots. If you’re looking for slots with a twist but in a good kinda way, Rival’s iSlots have captivating themes and loads of in-play bonus rounds. The Saucify and VistaGaming slots are good too but not as cutting-edge as the Betsoft slot games. There’s a few things to consider before you play a slot machine. Check if it is low, medium or high variance. You might be wondering how do we determine the volatility of a game? If it’s a progressive slots it’s high variance 95% of the time while non-progressives can be anything from low to high variance. Look at the RTP of the slots, anything above 96% is an indication of its volatility. Then again we’ve seen slots with high payback percentages of above 96% that’s quite volatile. The best way is to play it with a small bankroll of $30 to gauge the payouts. If you haven’t won a dime with your $30 chances are pretty good it’s medium to high variance. When you visit Casinowhizz.com you’ll notice that our offers are way better than the standard ones, here’s why. Once we teamed up with a new online casino we negotiate an exclusive bonus package just for you. At times it entails a lot of back and forth between us and the operator but in the end the operator understands where we’re coming from. You see, with us the player is always number one. Vegas Crest Casino is the newest addition to our already impressive USA online casino network, you’ll also note that it occupies one of the top spots in our casino table. 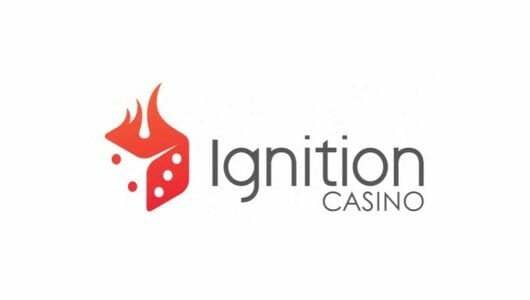 The operator has a nice selection of mobile casino and desktop instant play games, strapping promotions and a loyalty program that stretches your hard-earned dollars. Just to circle back to the casino’s promotions. We negotiated an exclusive 25 free spins no deposit bonus for you on Betsoft’s Boomanji (bonus code:”WHIZZ25FREE’‘) and a strapping sign on bonus of 500% up to $2,500 strung out over 2 consecutive deposits. The standard free spins offer is 10, ours is 25 free spins! Before the no deposit bonus is credited to your account you must do the following. First, (as mentioned previously) you must provide this code (”WHIZZ25Free”) and secondly, the bonus can only be used to play Boomanji 3D slots. Boomanji is a high resolution 3D online slots with 10 paylines, 5 reels, explosive visual animations and pays a top jackpot payout of 2,500 coins. It’s a low to medium variance slots where sticky wilds with a re-spin feature reigns supreme. Once you’ve used our exclusive 25 free spins bonus, the casino’s generosity does not stop there. A dual bonus package of $2,500 up to 500% is yours for the taking and we might add a great addition to your bankroll. To qualify for the bonus you must deposit $10 or more. Just so that we’re clear the bonus is entirely optional. The first match bonus is 200% up to $1,000 plus 30 free spins on Pinocchio-by the way it’s another superb Betsoft themed slots. The visual side of Pinocchio is simply splendid, it has a high RTP (return to player percentage) of 96.5% as well as a slew of bonus modes. When Geppetto a woodcutter of humble origins sees a falling star he wishes for his puppet (Pinocchio) to be finished. Never in his wildest dreams did he imagine that Pinnocio would turn into a real boy. Unbeknown to Geppetto the blue fairy grants his wish and the rest as they say is history. If you’re up for another noteworthy bonus, Vegas Crest takes it to the next level with a bonus of 300% up to $1,500 and 60 free spins on Fruit Zen. It’s a low variance 3D slots that pays a top cash prize of 250,000 coins. And, it offers a free spins and re-spin feature along with expanding wilds. Bets can be made from $0.10 up to $50 per spin. The game plays like a charm on Androids, tablets, iPhones and desktops. Before you play look at the welcome bonus the casino offers to first time depositors. If the roll over requirement is 40xb it’s acceptable and a nice addition to your bankroll. Only play slot machines that have RTPs of 96% and above. Preferably play games with wild, sticky, expanding wilds, free spins with multipliers and pick me features. Your average bet per spin must be within the confines of your bankroll. If your bankroll is $200 wager at least $2 per spin or less – 100 spins should be enough to trigger a bonus feature (free spins). If you want to try out a new slots ‘risk free’, contact the casino and ask them if they’re prepared to give you 10 free spins (don’t expect anything more) on the house. Normally no deposit free spins bonuses have a maximum win cap of $50. Before you can withdraw your winnings gained from the free spins a small deposit must be made first and you must complete the wagering requirement attached to it. Study the Paytable (Help Screen). It tells you which symbols pay the most, how the free spins feature can be triggered (by 3 scatters or more), how the gamble game works and so on. Play the game in the free mode. To be honest it’s not 100% accurate but it gives you an idea of the slots’ game mechanics, how it pays at different coin levels and how many spins it takes to trigger the free spins bonus. Don’t play with ‘scared’ money or cash you can’t afford to lose. In other words don’t take $300 from next month’s house rent with the idea of doubling it, in perfect world maybe but not in ours. Gambling must be a calculated endeavor. Decide which game you’re going to play; set a bankroll aside for it, play it in the free mode and takes notes how many spins it took you to trigger a bonus. The table game variety is not as extensive as we would have liked but still adequate nonetheless. Here you can play blackjack varieties (American&Roulette), three card rummy, red dog, pai gow poker, baccarat and All American. 11 video poker games divided into 1, 4 and 10 hands are listed. They include the likes of Deuces Wild, Jacks or Better Saloon, Double Bonus Poker, Joker Poker, Jacks or Better, Bonus Deluxe, Deuces and Jokers and 10’s or Better. Just like table games, video poker favors the player and not the house. Their RTP’s (return to player percentage) are 97% plus, if you’re good at playing video poker this is the way to go. However, you must understand the odds, betting strategy and hand ranking of the game you’re about to play. Always double check that you held the right card, if you have three ‘8’s’ make sure that you held all three of them. A nice bouquet of scratch cards, keno and bingo games round off the operator’s impressive suite of games. Popular titles include Candy Keno, Scary Keno, Keno BBQ, Vegas Jackpot Keno and Sudoku. I’ve never been a fan of scratch cards but I must admit they’ve become quite popular with players in recent years. Here you can try out Cast for Cash, Cavalier Cash and Beach Bums. Only 8 progressive games are listed, at the time of writing the total progressive jackpot pool stood at $342,000 and counting. Popular games are Jackpot 5x Wins and Money Magic. The support at Vegas Crest Casino is as good and available around the clock. The staff can be contacted through email ([email protected]), live chat and fax (00356) 2133 1804, U.S players must dial 011. I’ve tested the site’s email support and received a reply within 4 hours, I guess it’s because I’m on the other side of the Atlantic (UK). I tested the live chat as well and spoke to a chap named ”Julian”. He walked me through the bonus terms, comps and promotions in a jiffy, no problems here, the lad knows his stuff. The site employs highly encrypted 128 SSL software that protects your private information. Rest assured that your residential or financial details are safe, they will not be sold nor traded to any third party. We’ve done a bit of digging to see if there have been any player complaints concerning the veracity of the games-none came up, another box ticked. TST (Technical Systems Testing) is the company that frequently tests the RNG of the games to ensure that they are safe and that they give the player a fair chance at winning. Just a pity it does not post the findings of the audit report on its web page. For a U.S-facing casino the deposit and withdrawal options listed are good. You can fund your account with one of the following: Visa, MasterCard, standard bank wire, Neteller, Skrill and EcoPayz. Deposits are instant while withdrawals via credit cards take 2 to 3 working days, ewallets usually same day and wire transfer can take a few working days. The minimum withdrawal is $100 and the withdrawal limit is $3,000. Wins over and above this amount will be paid out in installments of $3,000 until the full amount is settled. Before you request a withdrawal you must verify your identity with Vegas Crest first.